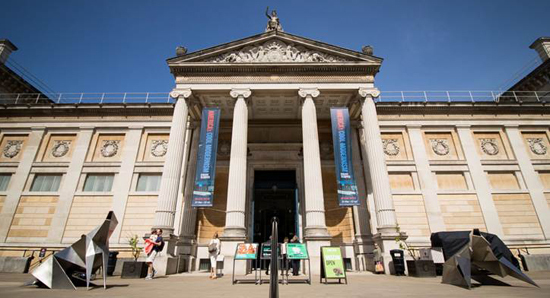 The Ashmolean Museum of Art and Archaeology makes up one of four University museums and boasts world-famous collections, from Egyptian mummies to contemporary art, across cultures and across time. This month, on the 21st and 22nd July, the museum will host a packed weekend of special activities exploring one of the most fascinating ages in Britain’s history. The ‘Festival of Archaeology: Anglo-Saxons and Vikings’ will allow visitors to experience the pivotal era of 9th Century Britain through storytelling, stonemasonry, craft activities and even an immersive video game experience. Working in proud partnership with the museum, one of the UK’s leading video game developers, Creative Assembly, will use their latest game to showcase military and political tactics employed by the Anglo-Saxons and Vikings. Set in the time of Alfred the Great, ‘A Total War Saga: THRONES OF BRITANNIA’ challenges players to build a kingdom and lead their people in a clash for control of Britain. Lusted himself will take part in the exhibition, showcasing the game with fellow developer Al Bickham, with hourly on-stage demonstrations on Saturday. Visitors can also dive into the time period themselves and test their strategy skills by playing the game on designated gaming stations throughout the weekend. Join us at the Ashmolean Museum in Oxford on the 21st and 22nd of July.